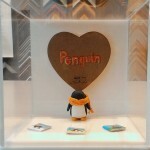 We create custom acrylic/plexi boxes to house 3D art and all your other treasures. Some types of art and other treasures simply don’t lend themselves well to traditional picture framing. So what are you supposed to do? Sometimes it feels like you have to choose between putting your treasures on display, where they could get dirty or damaged, or keeping them hidden away in a box or drawer somewhere. If you love it, it deserves a quality display box! Our talented frame artists can help you design the perfect acrylic/plexi boxes for your specific needs. We’ll help you pick out the right dimensions and the right mount or mat (if any) and then craft the boxes to our excruciatingly high quality standards. Using acrylic/plexi boxes for display cases or shadow box wall hangings has many benefits. First of all, a box provides protection from the elements. This means your treasures won’t get dusty or damp. If you choose a UV protected plexiglass for your boxes, your treasures will also enjoy protection from fading and sun damage. Secondly, a shadow box mount offers additional views of the object on display besides just the top or front view. Multiple viewpoints may be essential for truly appreciating an object that has many details on all sides. Finally, an acrylic/plexi box has the effect of elevating any three dimensional object to a higher art status. You can choose a dramatic backing such as a richly textured, fabric-wrapped mat to help create this effect. Remember, the sky’s the limit when it comes to the types of treasures you can preserve and showcase using acrylic/plexi boxes. Bring your ideas to Allan Jeffries Framing today to start designing a box with one of our experienced frame artists.